We have been very satisfied with them. We have tried other cleaning companies but he is the only one that we've used more than once. I liked that the employees were friendly and did a good job. They're extremely reliable and they do a great job. They're the best. I like the personal service, by far. I've used them for over twenty years and they've done my house and my rental. They have come running every time I have an accident. Any time I need any carpet care they are just Johnny-on-the-spot, and they can handle anything. I like their responsiveness. They do a great job and they're quick with their work. I've used them about ten times. Heavenly Touch cleans carpets, upholstery, tile, grout, and delicate wool and silk area rugs for customers throughout the South Bay. The company also specializes in polished and stained concrete projects, as well as the restoration and sealing of natural stone surfaces. Heavenly Touch has been family-owned and operated since 1996. Rodrigo Bejar has assumed the responsibilities of the family-owned business and is the current owner. Rodrigo says he’s taking customer service to a new level with the philosophies of Diamond Certified excellence. To reduce its carbon footprint, Heavenly Touch uses environmentally-safe, soapless cleaning methods that leave no chemical residues. 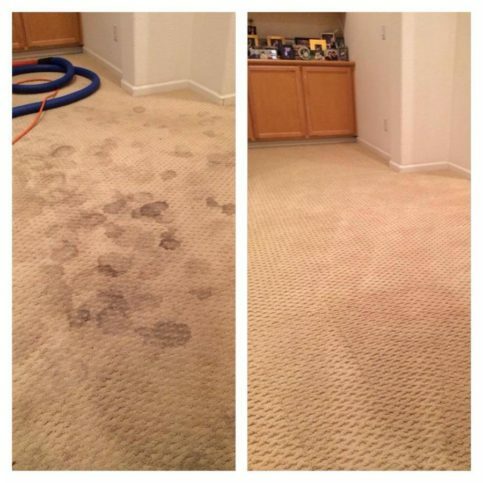 The company provides complimentary carpet cleaning tips on its website, www.heavenlytouchcarpets.com, that explain how to lift stains caused by red wine, heavy oils, starches and more. It also has a stone care division that features an online store for customers to purchase do-it-yourself supplies. (L to R) James Stephens (previous owner), Matthew Simoniak (technician) and Rodrigo Bejar (owner) stand in front of a Heavenly Touch service vehicle. Heavenly Touch has been cleaning carpets, upholstery, tile, grout, and delicate wool and silk area rugs for customers throughout the South Bay since 1995. The company also has the training and equipment to take on polished and stained concrete projects, as well as natural stone surface restoration and sealing jobs. When it comes to hiring a carpet or upholstery cleaning company, it’s a good idea to look beyond cost. So, what should you do to protect yourself from carpet cleaning scams? Mr. Bejar and other experts recommend shopping smart and looking for good value instead of low price. Don’t bother with companies that advertise rates that seem too good to be true. Instead, make your decision among licensed, insured, bonded companies that have reputations for taking care of their customers. Compare bids and look for detailed estimates that outline all of the details of your job, including services, rooms, square footage, and cleaning chemicals and processes. Ask if stains or other problems will cause the price to go up and find out if there will be any extra charges for your job. Then ask the company to explain those charges before work begins or as soon as you notice them, not at the end of the job. A: Carpet, tile and upholstery cleaning takes one to two hours to complete. We try to keep it within that time limit, but if the job is really big, we’ll let you know beforehand. Q: What type of dry time should I expect? A: Typically, tile will be dry within one to two hours, carpet will be dry within five to eight hours, and upholstery will be dry within one to two hours. Q: Why is your carpet drying time so much shorter than that of other companies? A: It’s because of the state-of-the-art equipment we use. All of our machines are updated, which makes dry time a lot faster. Q: Can I walk on my carpet or tile while it’s drying? A: It’s OK to walk on the carpet or tile as long as your feet are clean. We generally recommend not walking on tile for one to two hours in case it needs to be sealed, but it’s pretty much ready to walk on when we’re done. Q: How far out do I need to book an appointment? A: That depends on the season. In winter, we book three to four days in advance, but in summer, it’s usually seven to 10 days. Sometimes our morning appointments are booked two or three weeks in advance because people usually want early appointments. Q: Do you offer weekend appointments? A: We offer Saturday hours by appointment only. That’s a very popular time for commercial cleaning, since most companies are closed on Saturdays. We like to start commercial jobs on Saturday in case we’re not able to finish and need to take care of the rest on Sunday. Q: Can I trust you to be on time for my appointment? A: Yes. We’re on time 90 percent of the time and we always give you a heads up when we’re coming. Even if we’re running five minutes late, we’ll let you know so you’re not waiting around. A: Yes. A lot of the products we use are biodegradable and leave behind no chemical residue. They won’t cause any harm to you, your kids or your pets. Q: What should I do if my pet has an accident or there’s a stain on my carpet? A: It depends on when your carpet cleaning appointment is. If your appointment is in the next couple of days, just leave it alone. If your appointment is a week away, soak a terrycloth towel in warm water and dab the spot. Don’t spray any chemicals on the area—you could accidentally set the stain. Q: How should I maintain my carpet between professional cleanings? A: We recommend vacuuming your carpet once a week. If you let it go for longer, the dirt gets ground in and your carpet will get dirtier faster. If you have minor stains, get an environmentally-friendly enzyme cleaner, spray it on a towel with a bit of warm water and dab the spots. When the stain is gone, vacuum the area. 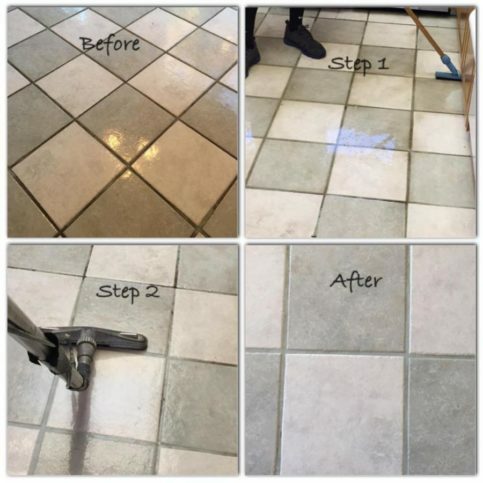 With tile, stone, travertine, marble, limestone or engineered wood, you can use environmentally-friendly cleaners. Don’t use cleaning products with harsh chemicals—they can break down floor sealants in just one or two cleanings. Rodrigo Bejar is co-owner of Heavenly Touch, a Diamond Certified company since 2003. He can be reached at (408) 782-4978 or by email. Having little prior experience in the industry, Rodrigo says the transition was intimidating, to say the least. “I had helped my brother-in-law here and there in the past, but it wasn’t anything that could prepare me for cleaning four or five houses a day.” As time went on, however, he started to get the hang of things and eventually found himself enjoying the work. When his brother-in-law made a full recovery and returned to work six months later, Rodrigo had already made up his mind to stay. A: Taking a 40-foot jump while snowboarding. A: High Five Pizza Company in San Jose. A: 45, which was my high school basketball number. Don’t apply the cleaning product directly to the carpet. This can result in discoloration. Instead, apply the cleaning product to a moist, warm towel. Don’t overdo it. A common problem that people make when cleaning a stain is over saturating the area, either by using too much product or reapplying too many times. This can actually cause the stain to flare up rather than disappear, and it can also result in a reoccurring stain or even damage the carpet padding. In most cases, two or three squirts of a cleaning product are sufficient. Blot, don’t rub. Whereas rubbing can actually spread a stain and cause it to become more deeply embedded, putting mild pressure on the spot will allow your towel to absorb the stain. SAN JOSE — Host, Sarah Rutan: When a spill occurs on your home’s carpet, you can often prevent a stain by using basic household materials. Today, we’re in San Jose with Diamond Certified Expert Contributor Rodrigo Bejar of Heavenly Touch, to learn a simple spot cleaning method. Diamond Certified Expert Contributor, Rodrigo Bejar: So, I’m going to show you an effective way of spot cleaning your carpets between carpet cleans using mild soap, common soap, rather than any expensive chemical you find at the store. So, I’m going to put a little bit on a presoaked towel that I soaked with warm water. I’m going to go over to the stain here and rather than rubbing, I’m just going to dab, kind of let the towel absorb most of the stain and not saturate our stain with any strong enzyme or anything like that we can’t rinse out later. So, we’re dabbing, flip the towel around a little bit, dab a little more and you see slowly the stain just disappearing. Use the clean part of the towel here, and that should be about it. Heavenly Touch : Average 9.5 out of 10 based on 199 unique customer surveys of customer satisfaction. The guys that came out were very friendly, and they had great personalities. They do a very good job, and I have used them for four or five years now. They respond quickly, they are personable, and they make sure everything is done well. They also clean up very well. I like that they are a young company, and they are building a business. I have referred many people to them. They do a great job. They are just easy to work with, very nice, and the pricing is fair. We love Heavenly Touch. they are careful and professional. They're reasonably priced and they're really good at getting stains out of the carpet. I like how responsive they are. We can call them and they'll come out the next day. They answer the phone and they're incredibly responsible. They're just really good at customer care. They are so good, and we've been using them for so long. We've been so happy. I have used them every six months for four years now. I have also recommended them to others. They get the carpet perfectly clean, and they are very fast and professional. They are the only ones I use for my home and for my rental. I have used them for years and years. They are just the best. They go out of their way to please you. They are very personable, and they aim to please. They provide a really good service. They were on time, and they cared about the job they did. They were honest, did a good job, and were men of their word. I was very satisfied and I would recommend them to anyone. Actually nothing really, they explained what they were going to do, we left, and it was done quite quickly. Nothing stands out, just who they are. They are great. They're professional, quick and do a good job. They are very thorough, dependable, and do a very good job. I can call and get an appointment when I need one. I have used them for many years. I'm a real estate broker, and I consider them on my team. I have used them for over ten years in my home and business. They do a great job. They are really great guys with wonderful personalities. They work hard, do a great job and I really trust them. They are experienced and reliable. We have used them for many years. I would say their attention to detail and reliability stands out for me. It was an excellent experience for me. They did a great job. I like the fact that I can talk to them about any additional services I may need to have done, and they take care of it. I was very happy with them. I would definitely recommend them. I like their friendly people that come. The carpet cleaning is always done very well. On top of that, they are super friendly. They teach me how to keep it clean. They move the furniture and are more than willing to do that. I love their work. So far, I've been happy with them.